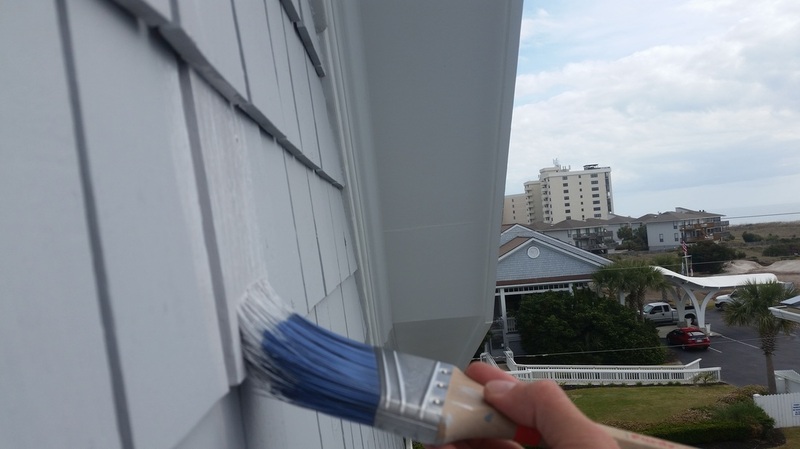 House Painting Company | Wilmington NC | Coastline Painting - Home- Wilmington N.C.
Coastline Painting is a full service Painting Company, serving Wilmington N.C. and surrounding areas. We take great PRIDE in being able to offer our Clients high quality Painting Services at a truly affordable price. Here at Coastline Painting we enjoy every step of our systematic approach to every project we are involved with. We really try to go the extra mile for all of our customers, the thing we enjoy most is when a homeowner comes home at the end of the day and is impressed with the work we have done. Our crew takes great pride in every job we work on! From detailed custom color designs to flat white walls with flat white trim, here at Coastline Painting we literally have you covered. Our systematic approach to interior painting is built from years of experience and is second to none. We like to think of our interior painting as a form of art, because it is. There is nothing like turning a client’s house into a colorful relaxing space. You would be surprised what the right colors in the right space do to the energy of a room! Our favorite way to help a customer select the paint colors for their project, is to have the customer pick a new piece of fabric from the fabric store with colors they like on it and then we can have the colors from the fabric matched which creates a perfect palate for their home or business. Then they can even have curtains and sheets made from the fabric to match the walls. Or we can always use the colors from the current curtains or furniture that are in your home now. We really love color and all of the Color Collections and Color choices. We also have a similar procesess for picking colors for the Exterior of you home as well. This is the Color Key you can find on most fabrics in a fabric store. We truly like comparing and trying new products and then giving our customers our reviews on them. After painting houses for over ten years we have learned allot of different application methods. We have also learned which methods are right for which jobs, which we feel is a really important skill to have in our industry. From the guy that started a few months ago to the guy that has been here for years, all of our employees are very knowledgeable when it comes to the types of paints and different finishes we are using.